Quality, integrity & reliability – it’s that simple. AC&E are currently exporting to over 75 Countries around the w orld and actively seek additional Distributors for many countries to provide local service. We can design, develop, modify and manufacture connectivity products to meet our current and future customers’ special needs. AC&E is fully committed and aiming to further expand our high quality and high performance connectors and associated products to other overseas markets through the appointment of new agents and distributors. Companies who are already in contact with local telecommunication providers and currently supplying products/equipment to them particularly in the area of connectivity and cabling products would be most suitable. 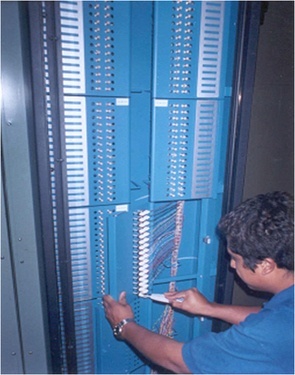 Located in the same complex is AC&E ’s sister company, Communitron (Aust) Pty Limited (common ownership) which is principally a manufacturer and supplier of sub-assemblies and Turnkey systems for the Electronic, Telecommunications and IT Industries. Communitron owns and operates modern manufacturing plant and equipment, which of course is available to AC&E for its customers. Both companies are operating in the transmission equipment area.AC&E manufactures products in Australia for Local and Export customers. AC&E also distributes majors brands such as Binder (fully-fledged connector manufacturer with a comprehensive product range), WhiteSands Engineering (ability to design and manufacture custom connectors, cable, panels, tools and assemblies makes them a leader in the connectivity industry), Northern Technologies (leading manufacturer of high performance EMI/RFI shielded and non-shielded connector covers for D-subminiature and high density SCSI connectors). 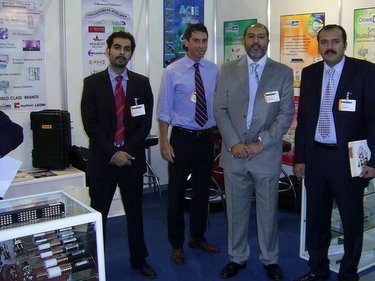 AC&E’s experience, expertise, and world-wide distribution ensures you get the right solution all the time.